Enriched White Corn Grits with Vitamins (Niacin, Thiamine Mononitrate, Riboflavin) and Iron. Stir grits and salt into boiling water; return to boil. For 1 serving: Combine 1-1/3 cups water and 1/8 tsp. 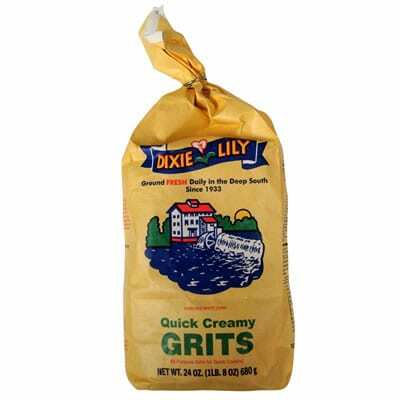 salt with 1/3 cup Dixie Lily Grits in a 1-quart bowl. Microwave on HIGH 4-5 minutes, stirring occasionally. Let stand until desired consistency.